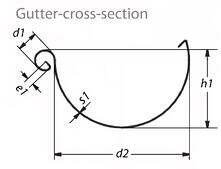 Over time,zinc gutters and downspouts form a protective zinc carbonate layer, (which is patina). The patina, which develops as a result of weathering, lends zinc gutter products their anti-corrosive properties. This allows there to be little maintenance and cleaning to be done towards the gutter system. Zinc is one of the longest lasting metals used in gutters and roofing materials, even longer lasting than copper, often lasting 80-90 years. zinc- a beautiful, less costly alternative to copper. Click on an image below for more information and product selection. 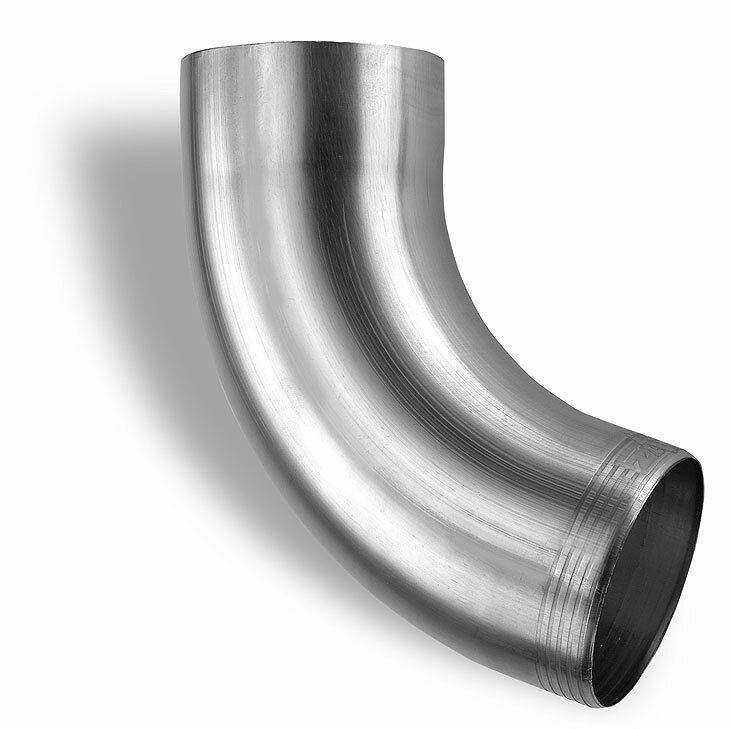 World Gutter System's Half-Round Style has a deep profile. 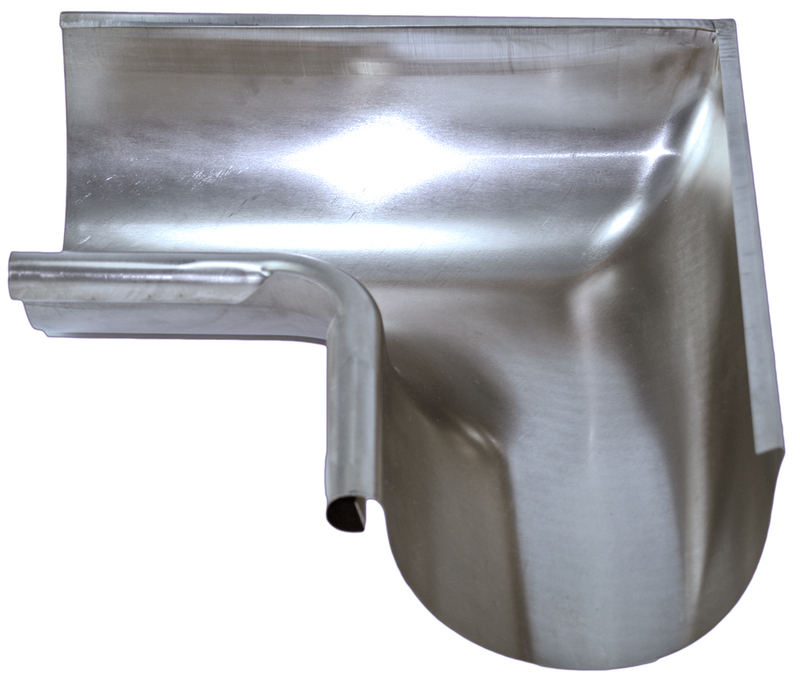 The shape of this rain gutter allows for optimal water flow, leaving behind less leaves and debris. The back lip prevents overflow and locks gutter into place when overlapping one section into another. 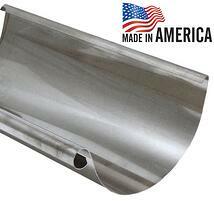 5" and 6" gutter sizes. hot dip galvanized steel, wrapped in pure zinc sheet. 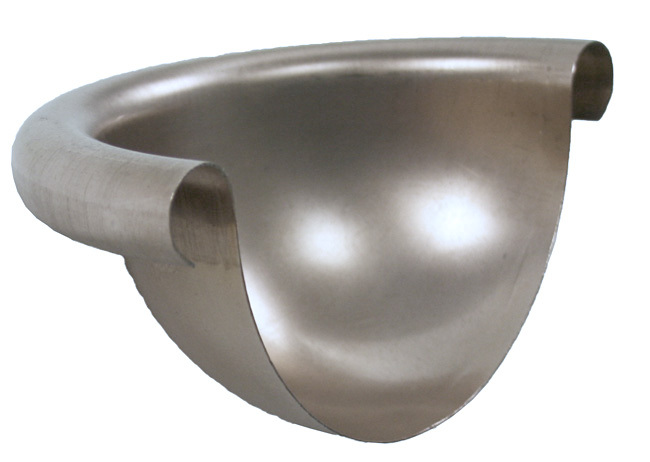 Flared end (hub) of downspout is far less noticeable than other copper downspout on the market. 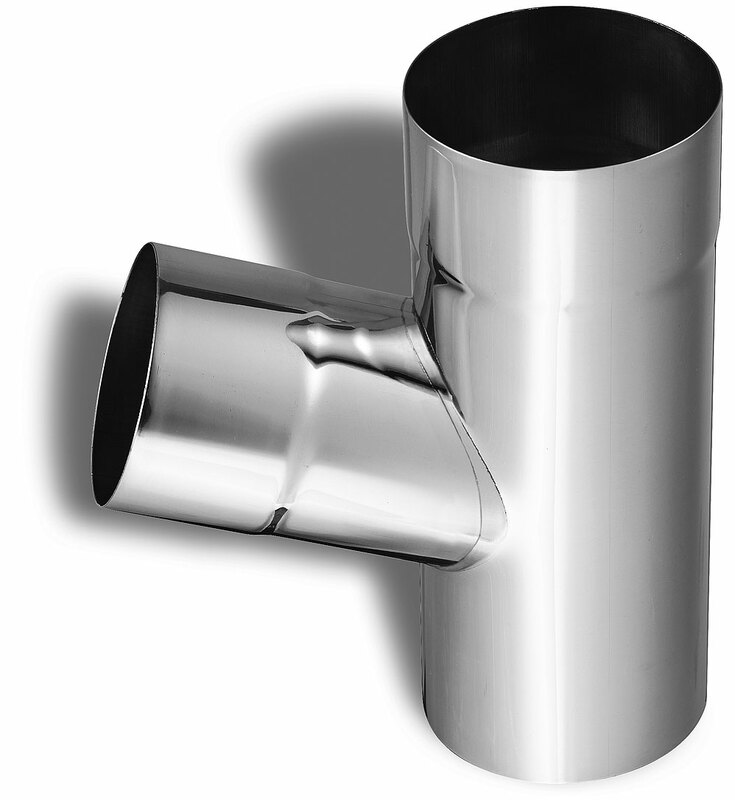 This design allows for a truly seamless downspout and cleaner looking installation. 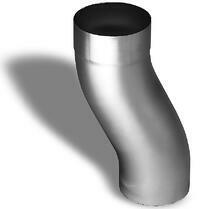 3" and 4" downspout sizes. 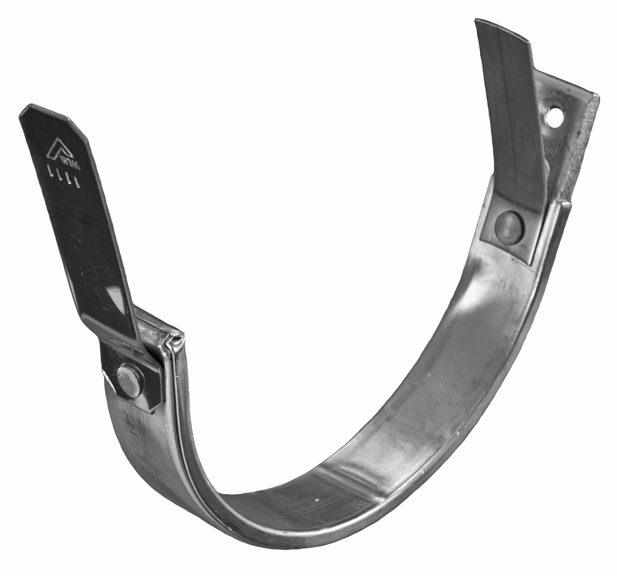 Bracket screws are made to screw securrely into brick, stone, stucco, wood, and more. 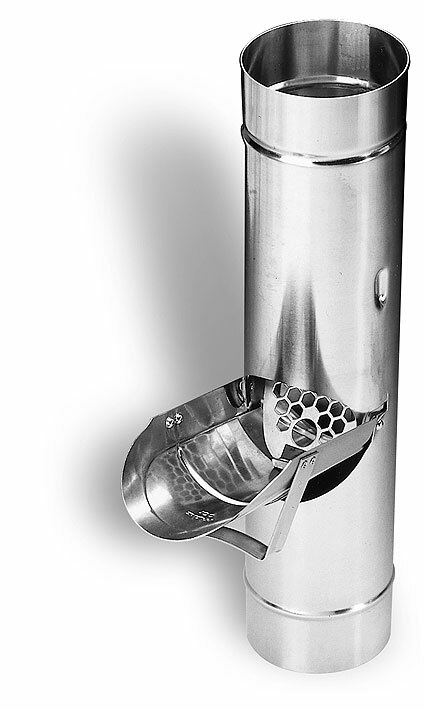 Our heavy-duty downspout brackets are proprietary and are the strongest and most versatile on the market. This design is produced and marketed solely by us. 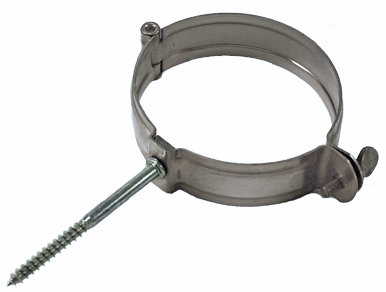 The mounting screw is attached to the bracket using a hidden nut. 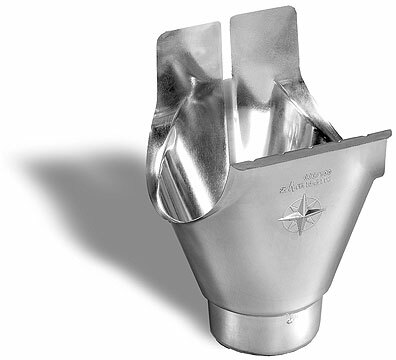 Both the nut and the screw are removable, thus the same bracket can be used for either stand-off mounting or true flush mounting of the downspout. Only we have this feature. 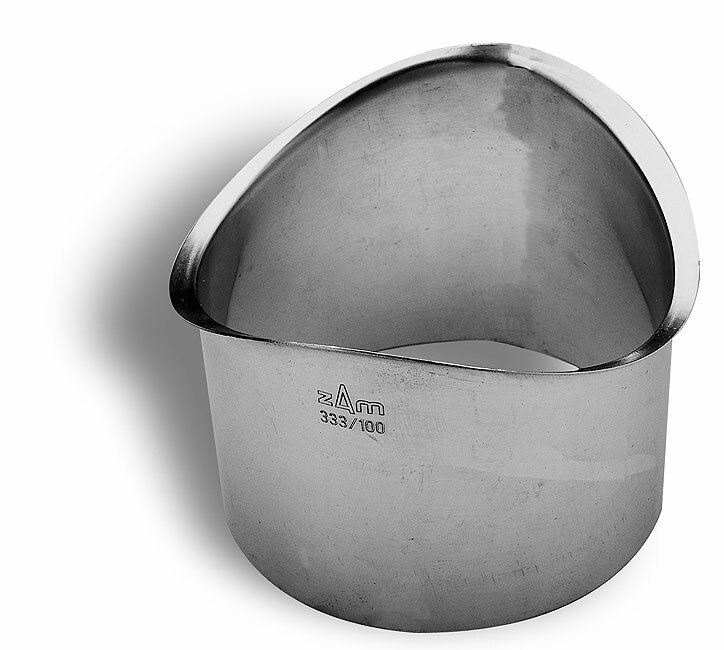 Others have a large exposed nut, which does not allow a true flush mount. Produced in 20 oz. Zinc. 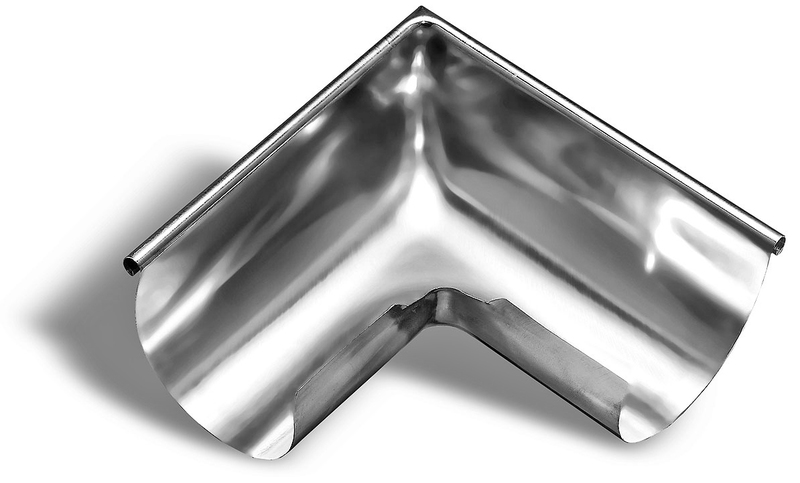 Aluminum Leaf Guards for Zinc Gutters offer the heaviest gauge leaf protection available. 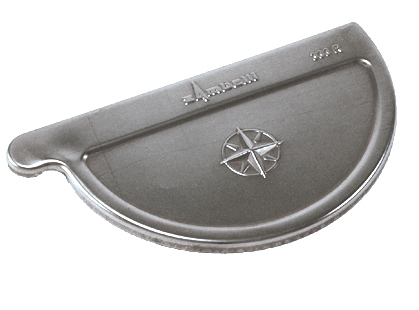 Leaf guards protect your gutters from being clogged by leaves and debris. 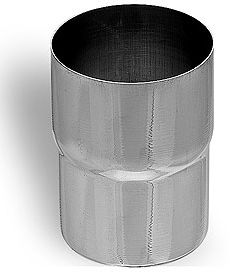 Pipe connector fits over and into a cut piece of downspout providing fast and easy connection. 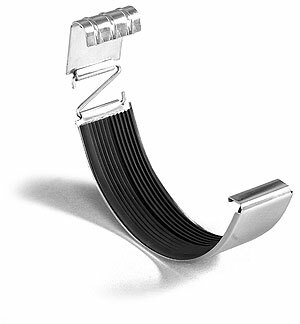 This self sealing zinc gutter connector quickly and easily joins 2 sections of half round gutter. The long lasting EPDM rubber will provide a leak free seal, Guaranteed. Provides a solder-free installation. 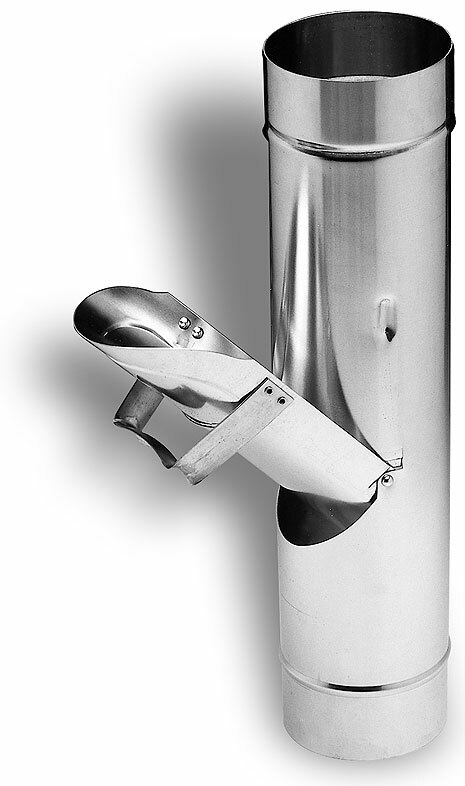 Captures and collects debris for easy removal. Downspout clean outs will keep your roof drainage system performing at its best. 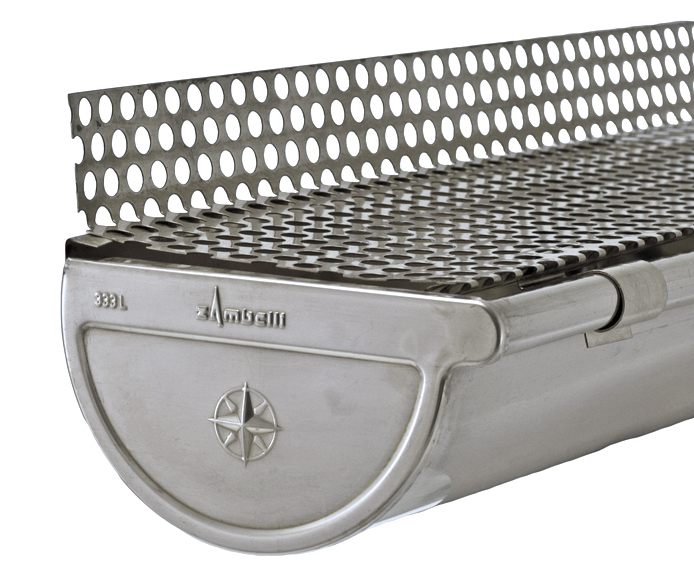 produced from 10 GA. galvanized steel. 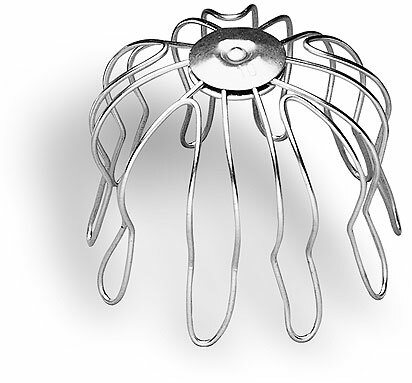 Wire strainers protect downspout from leaves and debris, allowing for maximum water drainage. 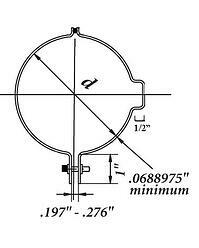 Our Copper and Stainless Steel Rain Chains are sold in several styles including round cup, fluted cup, square cup , link style, and Lily style. 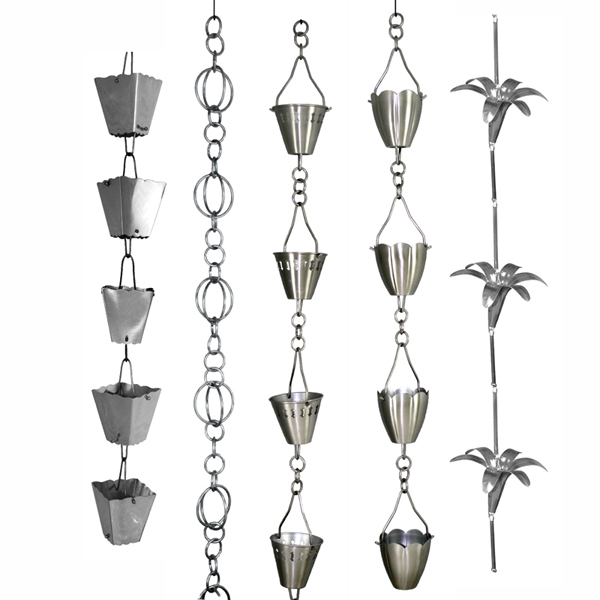 Rain Chains are avialable in stainless steel, copper coated stainless and solid copper, all come in 10' lengths as a stock item, however custom Rain Chain extension pieces are also sold when requiring lengths exceeding 10 feet.